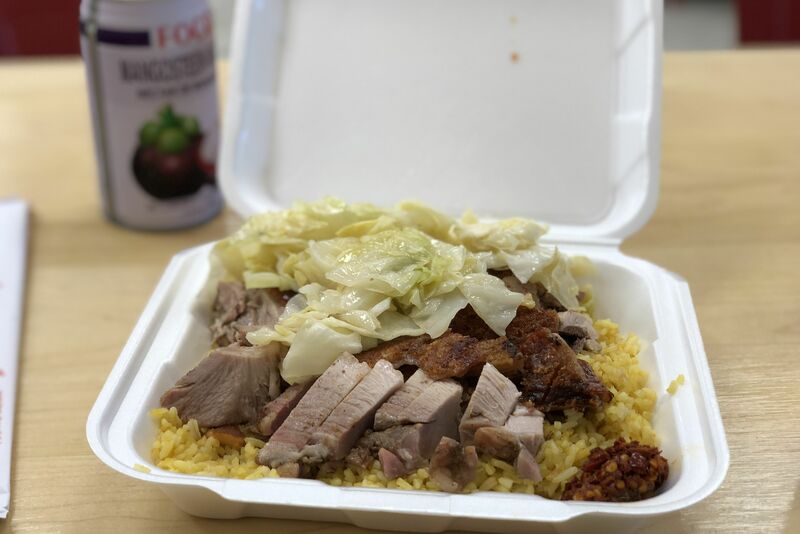 Soup, potatoes, sauerkraut, and cornbread—this is Chinese food? The braised beef brisket with tomato on the menu of North Eastern Chinese restaurant on Bellaire sounded like a good dish for a misty afternoon. 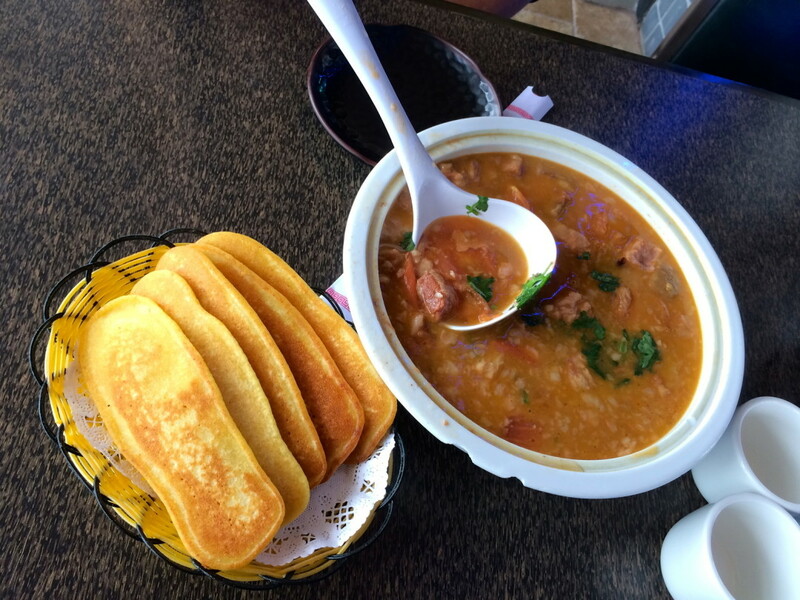 It was a little chilly sitting outside on the patio, so we were pleasantly surprised when the beef dish turned out to be a hearty-tasting thick soup with hints of cinnamon and anise in the broth. The cornbread we ordered on the side looked just like Southern corn fritters. Dong Bei cuisine, the cooking of the North Eastern region of China, also known as Manchuria, is particularly suited to cold weather. That's probably why Dong Bei restaurants are becoming common in New York. The Manchurian region is known for potato dishes and sauerkraut—rice is relatively rare. Kimchi, the iconic food of nearby Korea, is called "soaked vegetable" in North East Chinese cooking. 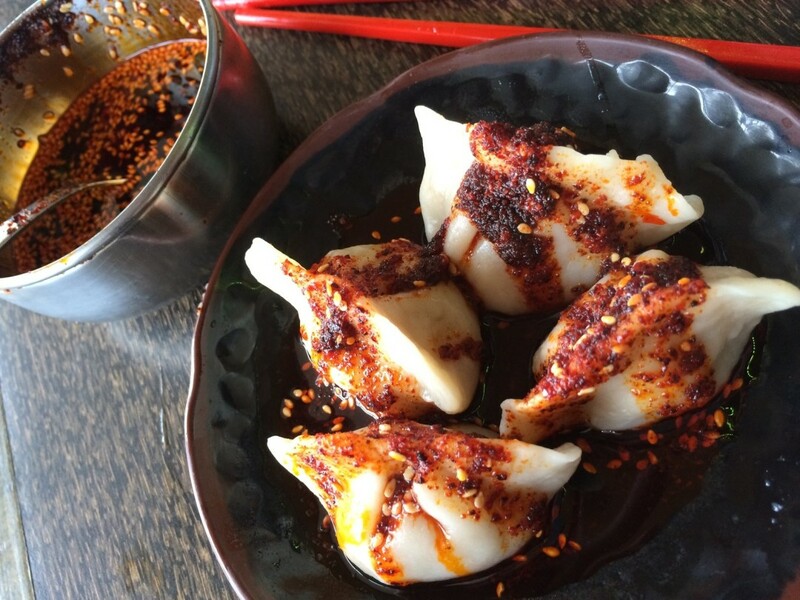 There are several varieties of dumplings on the menu at North Eastern Restaurant, and while the pork and cabbage dumplings we sampled were a little bland, they were delivered with a hot sauce that was anything but. 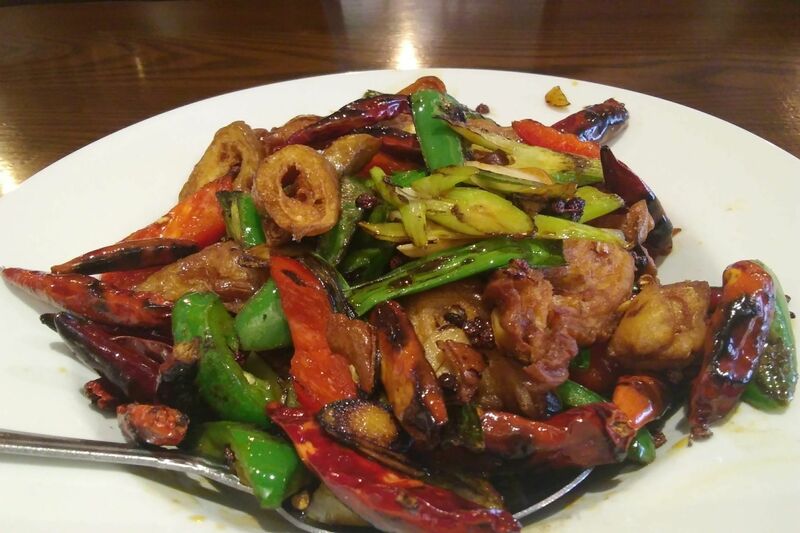 Dong Bei hot sauce at is made by cooking dried chiles in oil and adding toasted sesame seeds. It's a step up in flavor from the typical dried chile sauce you get at Chinese restaurants. I heard about North Eastern Restaurant from the parents of one of my son's schoolmates. The family came from this region, and they were delighted to find their home food in Chinatown. Dong Bei cooking is looked down on by people from other regions of China. 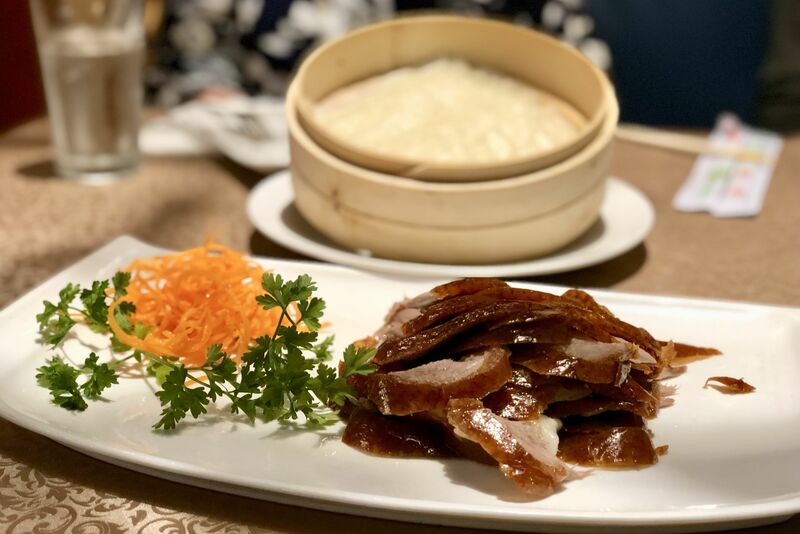 It is considered rougher and more rustic than the food of the eight great Chinese food traditions (half of which I had never heard of). For the record, the Great 8 are: Chuan (Sichuan), Jing (Bejing), Lu (Shandong), Su (Jiangsu), Hui (Anhui), Xiang (Hunan), Min (Fujian), and Yue (Cantonese). Anybody know of a Su, Hui, or Min restaurant in Houston? Dong Bei food doesn't show up much in Chinese cookbooks written in English, either. 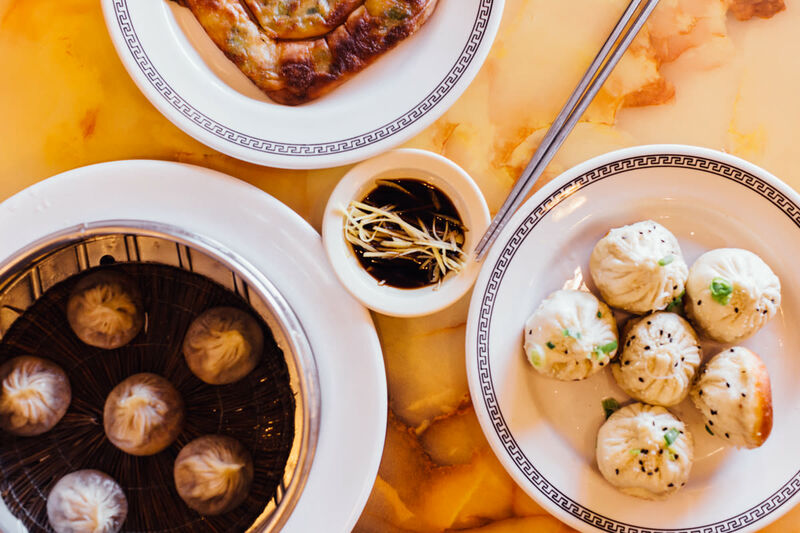 But one thing everyone agrees on—this is a favorite Chinese cuisine when it's cold outside. So keep North Eastern Restaurant in mind as the winter progresses.